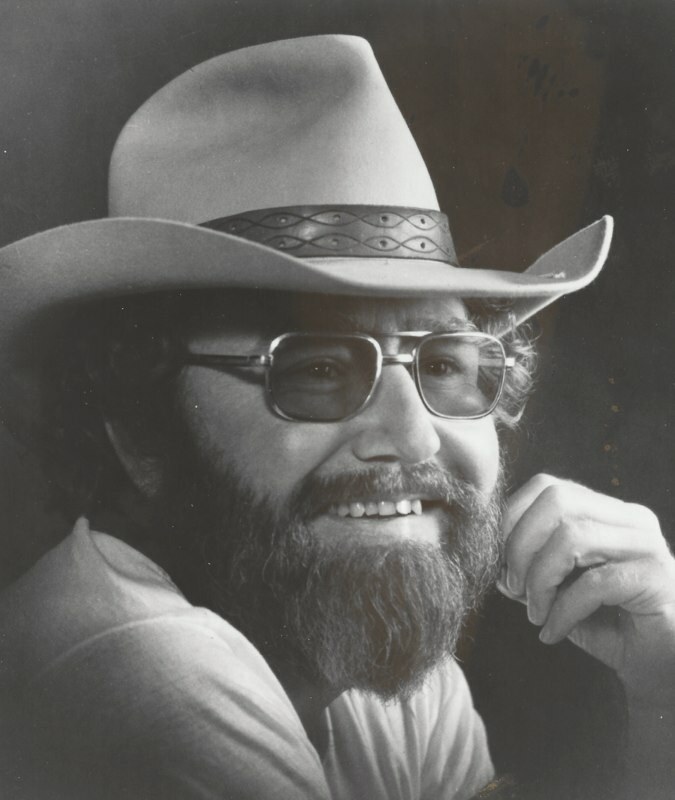 Hank Cochran was one of country music’s most prolific and admired songwriters. He penned hundreds of songs, including numerous top-ten hits and some of the greatest classics in the history of country music. Garland Perry Cochran was born on August 2, 1935, in Isola, Mississippi. His parents divorced when he was nine years old, and he was then sent to live in an orphanage in Memphis. After he repeatedly ran away from the orphanage, he was sent to live with his grandparents in Greenville, Mississippi. He learned to play guitar from his uncle Otis. As a teenager, Cochran worked in New Mexico oil fields, in California olive groves, and at Sears & Roebuck in Los Angeles. In California in the mid-1950s, he changed his name to “Hank” and formed a rockabilly duo with Eddie Cochran (who was not related to Hank). The “Cochran Brothers” played in area bars and once backed Lefty Frizzell. By this time, Hank was focusing increasingly on songwriting. He was inspired in his writing by the songs of Hank Williams. In the late ‘50s, he was hired as a songwriter for Pamper Music in California. “Tired and Sleepy,” a mid-1950s rockabilly recording by the Cochran Brothers. 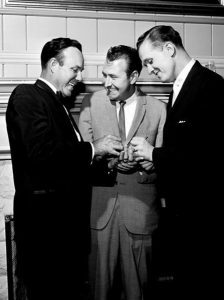 Hank Cochran, Jim Reeves and Bill Anderson congratulating each other on the many awards they had just captured that night at the BMI Awards show. Cochran moved to Nashville in January 1960 to work for Pamper’s headquarters there. Once in Music City, he met a lot of other aspiring young writers, such as Nelson, Miller, Kristofferson, Tom T. Hall, Mel Tillis, and Harlan Howard. A major gathering spot was Tootsie’s Orchid Lounge, where the young writers shared ideas and performed their compositions. Cochran and Howard collaborated to write “I Fall to Pieces,” which Patsy Cline had a number-one hit with in 1961. Cline also scored major hits in 1962 with Cochran’s “She’s Got You” and “Why Can’t He Be You.” In 1964, Eddy Arnold’s recording of Cochran’s “Make the World Go Away” went to the top of the country charts. Over the coming decades, Elvis Presley and many others would also record that classic song. Patsy Cline singing “I Fall to Pieces” in 1963. Cochran continued to write and co-write memorable hit songs for country artists for the rest of his life. Following are just a few of the countless country singers who found success with Cochran’s songs. Great friends Hank Cochran and Willie Nelson sharing a laugh backstage. Johnny Bush had a hit with “Undo the Right” in 1968. Merle Haggard’s 1972 recording of “It’s Not Love (But it’s Not Bad)” remains a honky-tonk favorite. Willie Nelson included “Can I Sleep in Your Arms” on his revolutionary Red Headed Stranger album in 1975. In the early ‘60s, Cochran had helped Willie get a job as a songwriter with Pamper Music. 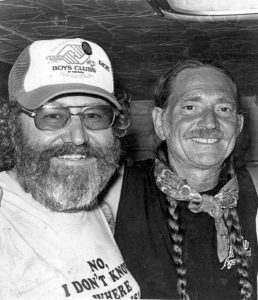 In 1980, Willie had Cochran appear in his music-on-the-road movie Honeysuckle Rose. Loretta Lynn had her own hits in 1977 with re-recordings of “She’s Got You” and “Why Can’t He Be You,” which had originally been recorded by her idol, Patsy Cline. In 1980, Mickey Gilley achieved success with “That’s All That Matters.” George Strait charted high with “The Chair” in 1985 and “Ocean Front Property” in 1986. Keith Whitley had a big hit with “Miami, My Amy” in 1986. Vern Gosdin’s 1988 album Chiseled in Stone featured several Cochran songs, including “Set ‘Em Up Joe,” “Tight as Twin Fiddles,” “Is It Raining at Your House,” and “Who You Gonna Blame It On This Time.” Southern-based artist Lea Anne Creswell recorded an album of all Cochran songs in 2001. Waylon Jennings performing “I’m a Long Way From Home” live in 1974. Over the decades, many singers in non-country genres of music have also found success with Cochran’s songs. Such singers include Bing Crosby, Burl Ives, Dean Martin, Etta James, Tom Jones, Nancy Sinatra, and Elvis Costello. Hank Cochran picking his guitar and singing. It is an understatement to say that Cochran did not have the most admired voice in country music. Nevertheless, several recordings by him made their way onto Billboard’s country charts from about 1962 to 1980, including three in the top 40. His highest-charting recording was 1962’s “Sally Was a Good Old Girl,” which was written by Harlan Howard. It went as high as number 20. In 1997, a 14-song album written and recorded by Cochran and Billy Don Burns—Desperate Men: The Legend and the Outlaw—became number-one on the Americana music chart. 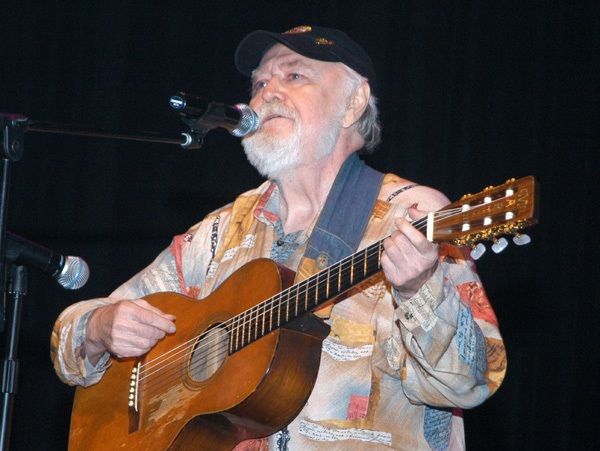 Cochran’s final album was the 14-song collection Livin’ For A Song, released in 2002. Cochran was a humble man with a restless, creative spirit. He was married a total of five times. His best-known wife was his fourth, country singer Jeannie Seely, whose biggest hit was Cochran’s “Don’t Touch Me,” in 1966. Seely released an entire album of Cochran’s songs in 1967 titled Thanks Hank. The two were married from 1969 to 1979. Jeannie Seely singing “Don’t Touch Me” for a rapt audience of some of country music’s elder statesmen in the 2000s. Cochran’s health declined during the early 2000s. In 2005, he had triple-bypass surgery. In 2008, he underwent surgery to remove cancerous tumors from his pancreas and lymph nodes. In early 2010, he had a large aneurysm (bulge) removed from his aorta. However, the pancreatic cancer returned and his health continued to worsen. He died at his home in Hendersonville, near Nashville, on July 15, 2010. 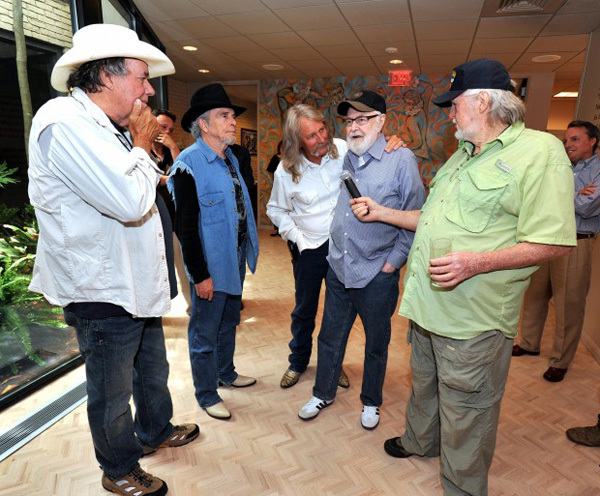 Hank Cochran sharing a laugh at a BMI reception honoring him for 50 years of his great music. Fellow songwriter Red Lane is holding the mic with Merle Haggard and Bobby Bare looking on. In April 2012, the film documentary Hank Cochran: Livin’ For A Song, directed by Wes Pryor and Greg Welsch, premiered at the Nashville Film Festival. Excerpts from Hank Cochran: Livin’ For A Song, a documentary featuring Willie Nelson, Merle Haggard, Jamey Johnson, Brad Paisley, Elvis Costello, Mark Chesnutt, Ronnie Milsap, and others. Doak Turner. Hank Cochran: humble captain. American Songwriter. January 13, 2009.